We’re iBowhunt: Let us introduce ourselves! Obsessed! That is the word that best describes our love for bowhunting. We love the preparation and pursuit, just as much, if not more than the kill itself. We respect the game we are hunting and the properties we hunt. 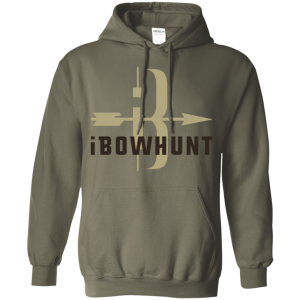 iBowhunt is founded on the principles that fair chase bowhunters should unite and share in the successes and failures of each other, as we are a community that should support and learn from our wins and losses together. Andy Warren, founder of iBowhunt has been chasing Nebraska big game with a stick and string for the last 10 years. Andy has a passion for the outdoors. An avid lake-goer in the summer that aptly translates into a deer hunting machine in the fall. Anything and everything outdoors are his passion. Andy has a degree in Information Technology with a web development option, a knack for all things techy, and is currently a front end developer for a large corporation in Papillion, NE. Kevin Tadlock, co-founder of iBowhunt has been actively hunting in Nebraska since the age of 13. Born and raised in an outdoor family, his love for the outdoors in his blood. From small game and waterfowl as a beginning hunter, to an exclusive big game stick and string hunter in the state of Nebraska today. As a United States Marine Corps veteran, and with a degree in business management, Kevin has a boots on the ground mentality and likes to get things done. He is currently the President of an internet marketing company in Omaha. 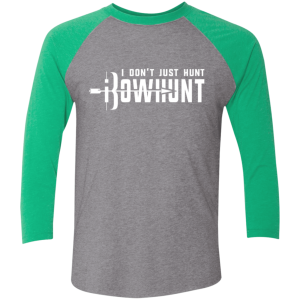 The idea for iBowhunt was created around finding an outlet for all Bowhunters to have a place to celebrate the bowhunting lifestyle. We do not believe in inclusivity, as we want to celebrate the bowhunting lifestyle with respect to all legally harvested game with bow equipment. This is our way of giving back to the bowhunting community, meeting some new people, making new friends, and celebrating the natural resources that we have been blessed with. We believe that all hunters should band together making us stronger as a group. We look forward to seeing your pics, hearing your stories, and learning from each other along the way.